Early results have Amerson River Park BEHIND by ONLY 64 votes! On Thursday afternoon, early results were announced in the #ELGLKnope Awards to name the Best Park in the Country. Amerson River Park was behind by ONLY 64 votes, making it nearly a tie. In order for Amerson to win this prestigious honor, it needs YOUR votes online and your pictures posted to Instagram by 3:00 p.m. on Saturday, April 6. Online votes are one point a piece, and each picture posted to Instagram is two points. To vote in this round, click HERE. Try voting from every device (computer and phone)! 1) Post LOTS of pictures of the Park to Instagram. The more pictures posted, the more points earned. 2) Use the hashtag #ELGLKnope in the post so the picture can be counted. 3) Tag @ELGL50 in the picture. 4) Do it all over again. And again. And again. And again. 5) Encourage others to vote and share lots of their pictures. If you don't have Instagram but still want to help, you can message the pictures to the Public Affairs Office through the Macon-Bibb County Facebook page. Staff will post those to Macon-Bibb's Instagram. 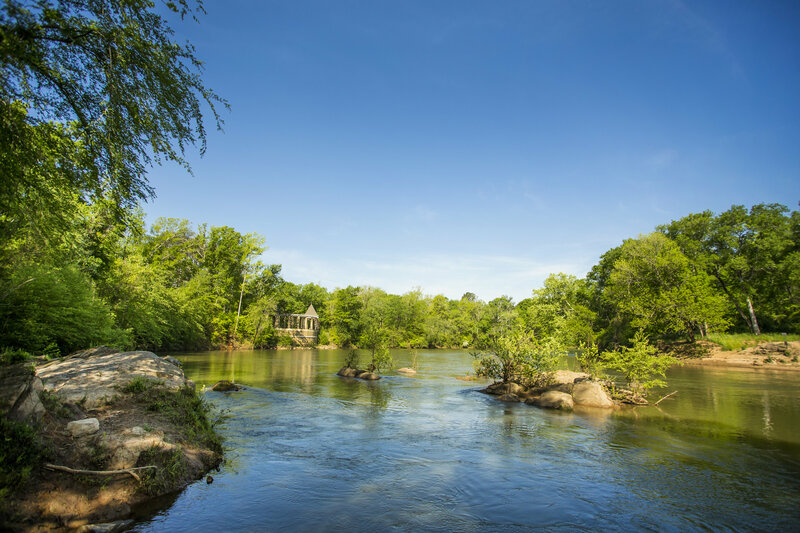 Amerson River Park is a 160+ acre park featuring 4+ miles of trails, a playground, multiple pavilions, river overlooks and access, outdoor gym equipment, large open lawns, and more. Work continues to expand the trail north from the Overlook to the Canoe Launch and south to connect to historic cemeteries, the Ocmulgee Heritage Trail, and the Ocmulgee National Historic Park. The only way for Amerson to win is for people to cast their votes online and post pictures to Instagram using the hashtag #ELGLKnope. Go vote online from EVERY device you can. Try multiple browsers. Post EVERY picture you have of Amerson River Park to Instagram with the hashtag #ELGLKnope. Share this status and ask everyone you see to vote and post! If you post 9 pictures in a single post, that counts as NINE pictures or EIGHTEEN points! We have until Saturday at 3; we can do this! Let's show the US we have the Best Park in the Country! #ELGLKnope Championship Week is nearing a close and Amerson River Park in Macon+Bibb County could be named the Best Park in the Country by Engaging Local Government Leaders because of your votes and pictures! There have been nearly 2,000 Instagram posts made between the two parks since Monday morning.